We are staying home as hurricane Sandy is approaching, and there is plenty of time for cooking. 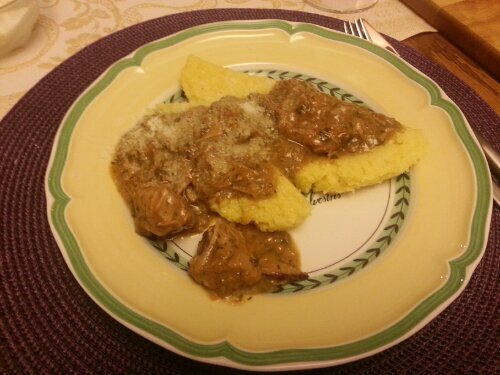 I decided to make veal spezzatino with polenta. 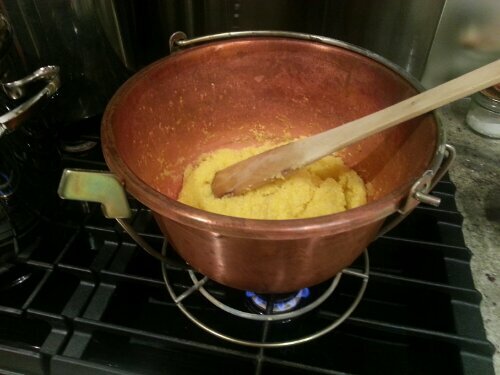 This is my copper paiolo, the special pot to make polenta, and the trisa which is the wooden stick used to turn the polenta as it is called in the dialect from Trentino. Finely chop the carrot, the celery, and the onion using an electric chopper. Heat put some extra virgin olive oil in the pot and cook the chopped vegetables for few minutes. Coat the veal with flour (or corn starch). Add the veal in the pot and brown it for about 5 minutes. 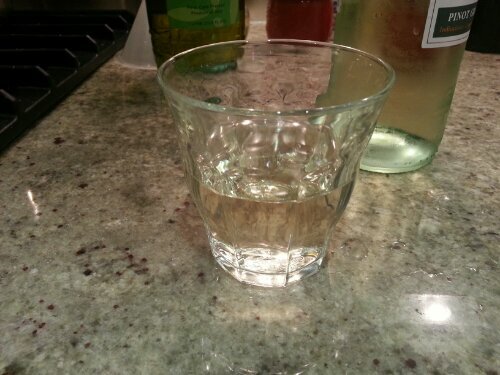 Add the white wine, and let it evaporate. Add salt to taste. 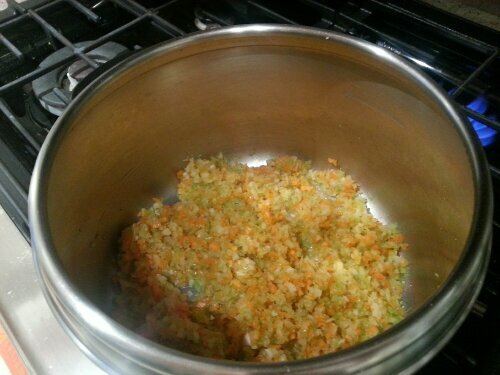 Add about 2 cups of water (or light vegetable broth) to have abundant sauce. 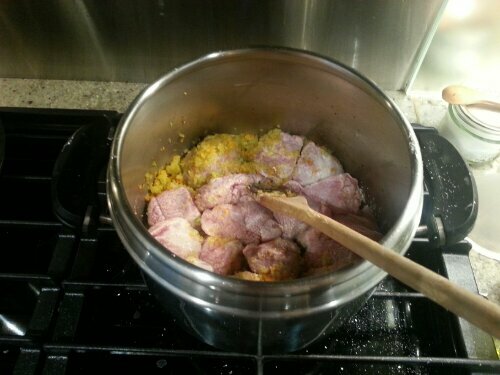 Cook for one hour, or until the meat is very tender. I used a pressure cooker and cooked for 30 minutes. When the stew is ready add the chopped parsley and the lemon zest. Serve the veal stew with polenta and top with grated parmesan cheese.